In a time where old record stores are prehistoric to an avid music fan, Amoeba Music Store stands out as a ruby in the rough. Amoeba is a one-of-a-kind shopping experience in the heart of downtown Hollywood and has become a destination for music fans around the world to dig through crates of the most diverse collection of music and movies ever seen under one roof. Go Metro and receive a discount of $3 on any item over $5 when you show a valid TAP card. * The exclusive discount is part of Metro’s Destination Discounts program. Go Metro to participating locations and events and you’ll save on admission, get discounts on meals, and receive free gifts. Spend your money on music instead of gas by taking the Metro Red Line to Hollywood/Vine Station and walk two blocks south down Ivar Avenue towards Sunset Boulevard. To plan the route that’s best for you, use the Trip Planner. 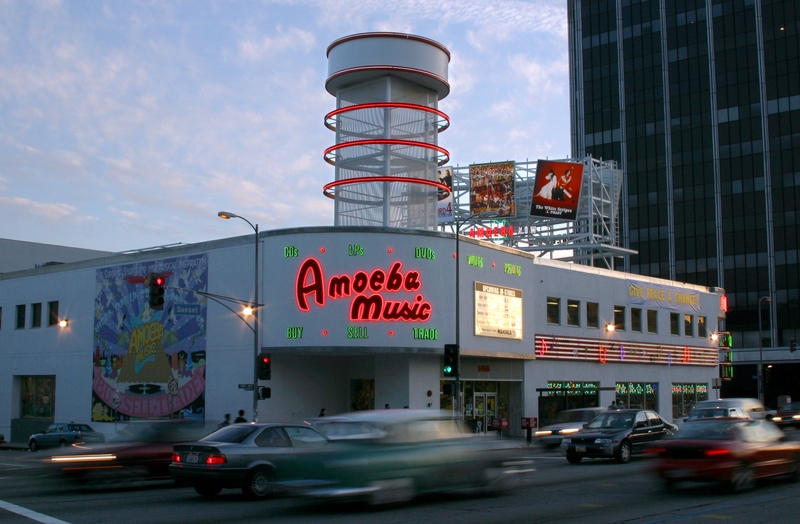 Amoeba also has a first-class performance space that hosts weekly free all-ages concerts and events. Upcoming shows include Charles Bradley and Outerdrive. For more information and a schedule of performances, visit Amoeba.com. *This offer cannot be used with any other discount or sale offer. One item per discount, per person. One discount redemption per day, per customer.